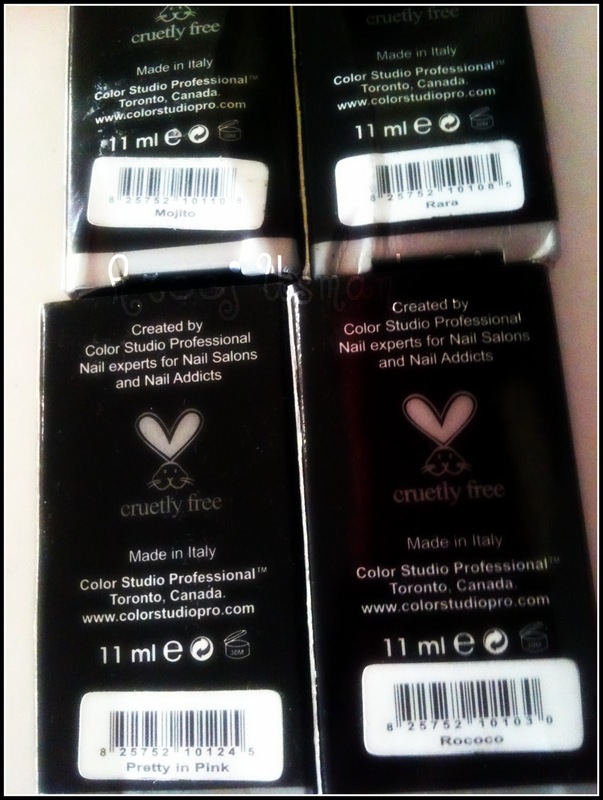 How are you doing?This post is really exciting to me as for some time now I have been waiting to try this Brand!! 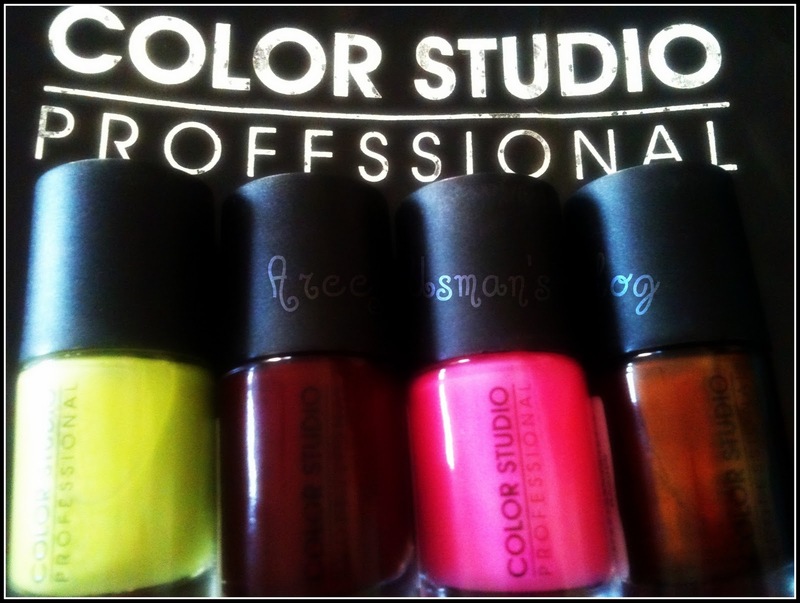 The credit to this post goes to one of my very dear friend who lives in Khi as she sent me these lovely nail colors.These were only available in Khi at the time she bought them for me. They come packed up in individual boxes with the names of the shades at the back. 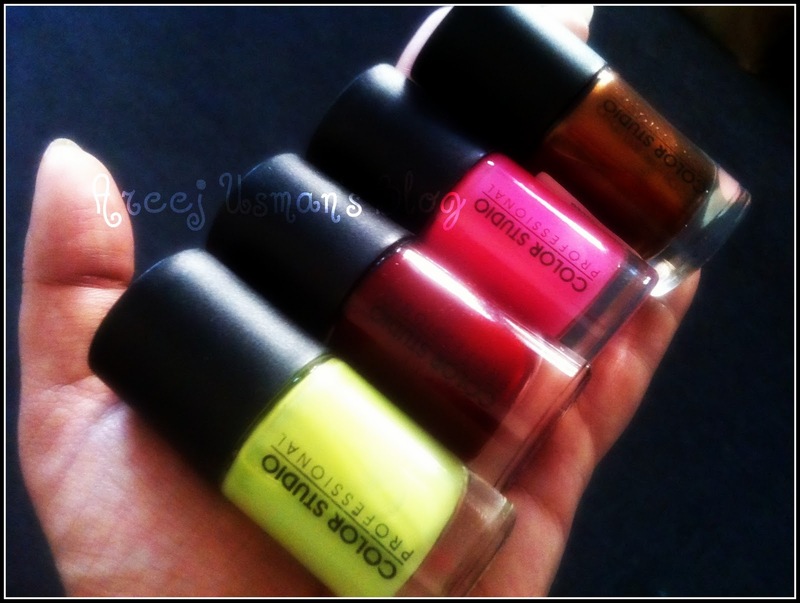 I love the packaging of the bottles.They are uniquely round shaped unlike many nail color brands! 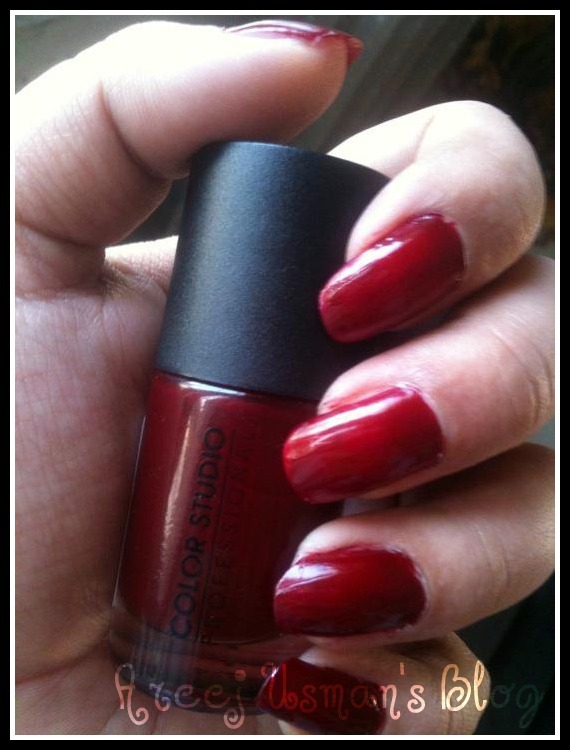 I really loved all the colors that I was gifted.They really have a huge variety of shades which would make the choice really difficult !I am swatching the shade RARA for you people.As I thought I would really go for this colour in winters! 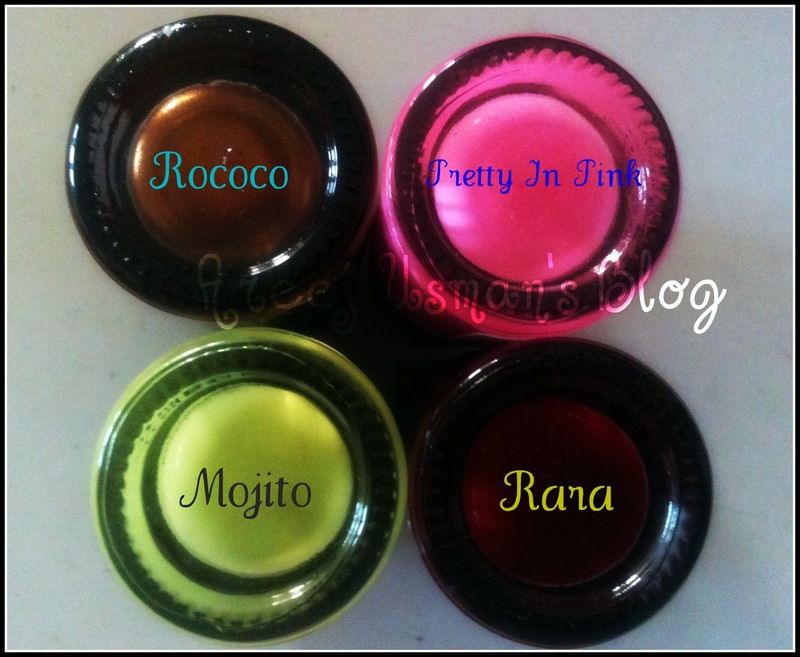 Lets see the swatch of Rara! 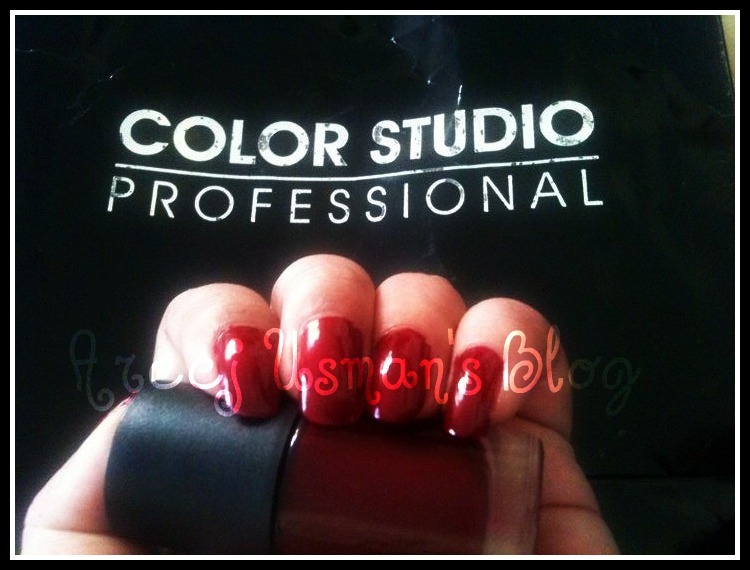 Though the shade inside the bottle looks very maroon but on applying it I was surprised to see that it turned out a lovely Wine Red for me! 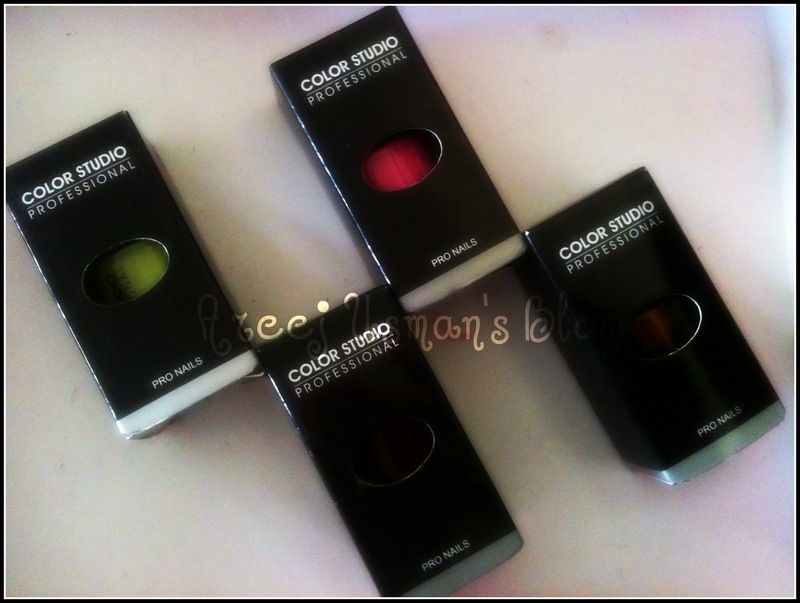 Color Studio Professional Pakistan Retail the nail colors for Rs.250 Nationwide! I really like their color selection! very adorable..looking great on you ..
Yeah I am gonna buy the yellow color!! Looks great on you 🙂 Lovely present!